If your commercial swimming pool facility is looking to hire a company to manage the staffing at your pool then Unique Pool Management is here to help. With over 15 years of experience hiring, training, and staffing local swimming pool facilities, our staff knows how to staff your pools. Hiring lifeguards is no easy task, we start in December with our recruitment process and it doesn’t end until the season is over. We are always hiring and training staff to ensure your facility has the most qualified staff available. We take pride in offering the best customer service. We have staff ready any time your facilities are open to answer questions or solve problems. 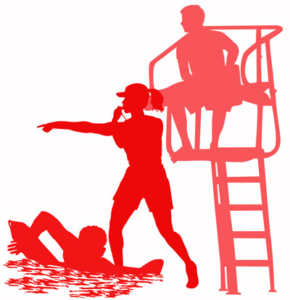 Managing lifeguards is no easy task but we are up to the challenge each and everyday to ensure your pool is safe, clean, and a fun environment for the patrons. One of the most import factors to a successful swimming pool management season is communication, not only with our customers but also with our staff. We use the latest in technology to ensure that the lines of communication are always open. Making sure that communication is not only received but passed onto the staff is vital to ensuring that problems are solved quickly and issues are not repeated. No matter what the age of your pool, you will always have mechanical issues at some point. It is import to choose a company that understands your needs and desires for your pool. We have a full service department ready to handle the biggest service problems quickly and efficiently, keeping your pool running and ready for the patrons. When you are hiring seasonal staff it is important to ensure that training is given each year. We provide four hours of training on top of the thirty three hours of Red Cross training. During this training we focus on daily operations and how the facility works. Our staff can continue with their training each month to get to higher staff levels, by doing this they can earn more money and you get a higher quality staff member.